Email offers a highly efficient channel at the heart of inbound marketing for communicating with clients in a targeted, measurable and cost-effective way. In order to avoid your recipient’s junk folders, however, you have to provide relevant, useful and interesting information in a way that will render correctly in the recipients email client. What you include will depend on your audience and the aim of your e-communication. eNewsletters with company news, features, reviews and link to reports and industry analysis - either on your website or blog - increase engagement and time spent with your brand. Stories about company activities that don’t relate directly to the business, such as charity projects, staff achievements or CSR activity can help give your company a human face. If you have different audiences then use dynamic content to disseminate relevant copy to each group. By keeping it relevant you will keep your subscribers. A relevant eNewsletter that delivers interesting and engaging content on a regular basis can become as habit-forming as reading a weekly business magazine. Email can raise awareness about specific products, services or offers but in order to be effective your campaign should have clear ‘calls to action’ (CTA). After all, your email is essentially an intermediary right, a middle man if you like - there to channel the recipient towards your website, download, or other destination. Illustrating your CTAs with bold text, images and buttons can increase click-throughs sending recipients directly to the content you want them to engage with. Don’t be afraid to repeat your CTA’s and most importantly, make sure they also feature above the fold - that is to say as high as possible. Design with a worst-case scenario in mind - for example, an Outlook user with the preview pane set up below rather than to the right. In this scenario there really is very little visible real estate. The first consideration derives from a choice your subscriber will have made when opting in to receive your mails – to leave the default HTML option or choose plain text. Both options have design issues to consider. In a B2B world it is important to avoid neglecting your plain text version. It is not good enough to just hit generate plain text in your email platform and be done with it. Assuming you have set the HTML version up correctly there will be excess links to delete, and the order of the content may need amending. It is even possible that a small amount or re-write will be in order to improve the sense of what is being said. With your HTML design you need to be aware that, by comparison with the web world, email design still resides in the dark ages. You cannot use stylesheets (CSS) and need to use ‘table’ and ‘font’ tags instead. Pretty much everything will need to be in a pure HTML format. Using images to illustrate your campaign is fine, but avoid large images that will simply appear as blank space in a considerable number of email clients. The default setting in Outlook for example is images off. Large images can also increase the spam score of your mail. You also need to be mindful of the resolution and file size of your images. If they are too big this will cause a delay in time it takes a mail to render, and in an age of information overload the merest delay can cause your recipient to move on – game over! Don’t use images gratuitously - far better to use them to illustrate your core message and CTAs. For example you could use an image of a ‘Factsheet’ or ‘White Paper’ along with a textual link to illustrate those downloads. It is wise to test and test again with your HTML emails. There are many email clients out there and they all interpret your design in different ways. Using a service like Litmus can really help, as it will show your design across the different email clients as well as your spam filter scores. Social media may allow us to communicate quickly and concisely, but email remains a more comprehensive and targeted way of communicating, and should be part of every company's digital marketing strategy. In this 24/7 world, some news just can’t wait until the next ‘weekly’ eNewsletter, but can be ‘teased’ on social media, which in turn can encourage people to sign up for your eNewsletter to learn more. Embed social media share links, likes and opt-ins into your email campaign and you will grow your network and extend your reach, gaining new subscribers each time you send. Information is power, so they say. They also say ‘data is the new oil’! Good data is vital to an effective email marketing campaign. Your content choice will depend on the depth of knowledge you have about your audience and your market. But it will all be for nothing if it is not reaching your audience. Email marketing is measurable and accountable and will not only increase your understanding about what content your customers engage with, but can also enable you to target different markets based on specific criteria, such as location or purchase history. With this in mind make sure that you use data mapping when you set up your data and consider creating different address books based on recipient activity to even better target your readers with relevant content. If you are interested in learning more about using email marketing in your business you may be interested in our Email Marketing White Paper. 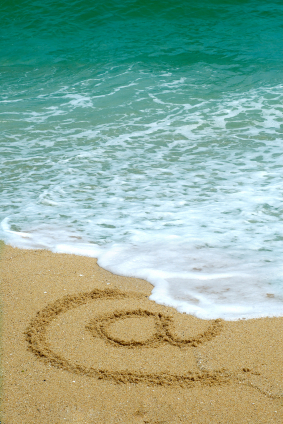 What are your top tips for successful email marketing? What are the key pitfalls to avoid?